READ WHY CUSTOMERS TURN TO ACADEMY MECHANICAL SERVICES INC. Prompt, dependable and expert service has been a trademark of Academy Mechanical Services Inc. for over 40 years. 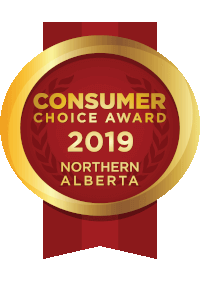 As one of the top HVAC and plumbing contractors in Edmonton, Spruce Grove and the surrounding areas, we take pride in the service we provide and invite you to read what past customers have said about us. If you would like to share your experience with us, please email or fill out our convenient contact form. We look forward to hearing from you! Very happy with the after-hours service last night. Erik is an amazing employee who did a great job in our home. Thanks Erik! I would recommend this company highly! (Academy) did an inspection of the fireplace and determined the original installation did not meet spec and would not pass permit inspection. Replaced necessary parts and passed permit inspection and completely cleaned and serviced unit. Great group of people. If you want it done and done right the first time, call (Academy Mechanical). My AC did not work properly. I had 3 different companies come out and spent over $500 on it but didn’t help at all! Finally, I got the guys from Academy Mechanical to come out and they figured out the problem. The technicians are very professional and worked very efficiently. Highly recommend! Great Work on Our Renovation! Thanks again Matt for all of your great attention to us and for Academy’s great work on our reno! Thank you for continuing to be so professional and friendly. You make challenging situations much easier to deal with. Thank you for your continuing support of Edmonton’s ethnic community (Heritage Festival). The lady that took my call this morning was very kind and with a very nice telephone manner and was able to give me a reasonable estimation of when I could get help with my furnace that wouldn’t light. Brayden called right on time to give me notice he was on his way as I had requested. Turns out the fix was pretty easy and he seemed genuinely embarrassed at the speed he was able to make things right. He was very thorough in testing the fix which was reassuring to me. Throughout, he was very pleasant and seemed knowledgeable without the arrogance or impatience that can come with some expertise. As well, please compliment your receptionist who was so pleasant to speak with. I had the occasion to speak with one of your competitors earlier and found them to be quite disagreeable in their customer service which seemed to focus on the cost of the repair and their busy schedule. Thank you. Jamie did a wonderful job replacing our water pipes. He was very professional and kind. I am also happy with the service I got from the rest of the staff as well. My compliments to Academy and Peter for the great work. Just wanted to send a quick thank you to Oliver and Shawn of the Spruce Grove branch for a quick quote, a professional looking and on-time install and additional thanks for sticking to the quote. We really appreciate it and we can sure feel a difference in our house already. Thanks again. – Lindon and Denise P.
Your staff quickly responded by setting a plan for a new secondary line, gathering the materials and then scheduling the install within hours! As well, they continued to partner with the temporary natural gas suppliers for hook up, re-ignition of units and all else to keep us functional. The concern for our business combined with the outstanding effort from your crew provides an example of the commitment you have to us. Also, I would like to pass on my sincere appreciation to Andy Smith, who consistently communicated with us and worked effortlessly to ensure the facility would not lose heat.